Meet the Daily Bruin's new blog. Well, this is it. The end of Mojo. Or is it? Consider this more of an evolution or a transition. Mojo was created in January 2012 to fulfill, as the backronym of sorts (or is it the other way around?) suggests, an erstwhile unexplored need for “Mobile Journalism” in the digital age. In short, it was the Daily Bruin’s take on CNN iReports. In a mere four years, the media landscape has undergone numerous shifts and sea changes – so much so that the Mojo moniker has become a bit of an anachronism or a misnomer. A great deal of The Bruin’s readership – that means you – peruses our articles from the comforts of a smartphone, and our recent redesign was expressly intended to facilitate reading on-the-go. In other words, the entirety of The Bruin is now mobile-ready, while the Mojo website has, in my belief, languished with an outdated and outmoded design. Enter The Quad, the Daily Bruin’s new hub for analysis, explanation and student voices, intended to be a digital simulation of student congregation on physical campus quads. The Quad takes the best elements of Mojo – a mission to deliver interesting and informative content on both important and supposedly mundane aspects of student life – and adds a newfound focus on disseminating and revealing the diversity of perspectives that the 29,000+ undergraduate population brings to Westwood. And of course, the perspectives of graduate students and faculty are welcome and appreciated as well. The other aspect that the Quad is explanatory and analytical journalism. A lot that goes on on this campus and in Westwood is poorly understood, or most of us can’t be bothered to understand it. The Quad hopes to make the massive bureaucracy of UCLA slightly more comprehensible, and then some. Please check out The Quad by following the link above, or through dailybruin.com/category/quad. Comments, questions and suggestions will be fielded at quad (at) media.ucla.edu. Hopefully you’ll agree that we haven’t lost our mojo. Editor’s note: Like many locals, I’ve shopped all around Los Angeles – the Grove, Santa Monica Place, the Beverly Center and a handful of other malls – but never in Westwood. In this second installation of a series on Westwood’s rise, decline and future, we look at Westwood’s business competitors. Even though I’ve lived in Los Angeles my whole life, no one had ever asked me to hang out in Westwood Village until I got to UCLA. They would suggest Santa Monica or the Grove, but never Westwood. After several months of being the city news editor at the Daily Bruin, I’ve developed a clear obsession and respect for the Village. So now, I ask myself: Why doesn’t anyone want to hang out in Westwood? Then, by the late 1980s, it took a turn for the worse. Some blame the gang-related shooting that left a bystander dead in 1988, saying this showed the declining safety in the area. 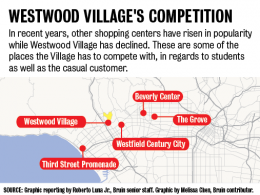 But one should look for factors outside of Westwood as well – Westwood Village’s decline ran parallel to the rise of more hip, upscale shopping centers that only hurt the Village even more. Businessman and real estate developer Rick Caruso, when he opened the Grove in 2002, tried to create an old-town nostalgic feel, complete with a fountain and trolley, in an outdoor mall. This, as well as a 14-screen movie theater, may be factors that compel more than 18 million customers per year to travel to the mid-Wilshire mall. The manufactured atmosphere Caruso created makes customers feel like they themselves are rich, shopping in one of the most luxurious places. This model, which he has replicated in Glendale’s Americana at Brand and plans to do so in Carlsbad among other places, has granted him great success. Similarly, Third Street Promenade tries to offer the same type of grandeur that the Grove does. The center, operated by the city of Santa Monica, has began focusing more on chain stores instead of local businesses, garnering more than $300 million annually from 10 million customers. Its prominent location by the beach and its easy accessibility by bus or car makes it more appealing to customers than Westwood. While these two malls thrive, others, such as the Westfield Century City, have decided to change in order to keep up. A few miles from campus, the Century City mall is undergoing $800 million in renovations to add more open space, a plaza and make one-fourth of the mall dining. Westfield Group is doing this to distinguish its mall from other other centers, whose primary objective is retail. Westfield Century City’s proximity to Westwood, as well the amount of money that its private owner has at its disposal for revitalization, pose an economic threat to the Village. These shopping centers have the crowds, the nightlife and appeal that Westwood Village once had. That, and a central vision. The Janss brothers planned Westwood Village with the end goal of creating a shopping center that would serve UCLA students and residents. They made it stand out by creating a 170-foot tower atop the Fox Theater and bringing a flagship Bullock’s department store. Unlike today, it was a destination that people purposely decided to go to, not a place where they end up. Even as market competition emerged in the 1980s, a decision of where Westwood should go hasn’t been made; rather, there are a number of conflicting opinions that have stunted its growth. Students’ desires for more fast-casual establishments and entertainment options conflict with some residents’ inclinations for more dine-in restaurants and a less vibrant nightlife. Westwood Village, though, is not a shopping mall. It does not have the generic characteristics that a regular mall, or the new outdoor shopping centers, have. It can be different. It can be unusual. The Bruins have been a powerhouse in traditional competitive sports, but UCLA is now taking the digital battlefield seriously as well. This year, UCLA has greatly increased its competitive presence outside traditional sporting arenas by fielding multiple teams who are representing the Bruins in competitive gaming tournaments. eSports, the collective name for competitive video gaming, has recently seen a massive surge in popularity on campus, paralleling the general interest and growth of the industry. What is eSports? It is a massively growing subculture inside the video game industry where people watch the best players in the world compete for money and fame. Professionals train and practice much like any other athlete to hone their game and compete at the highest caliber. Popular games with competitive scenes include the team-based action strategy games League of Legends and Defense of the Ancients, fighting games Street Fighter and Super Smash Bros., card game Hearthstone, and first-person shooter Counter-Strike. In 2015, across these games and many more, more than $52 million has been awarded across more than 3,000 tournaments to these dedicated and talented gamers. Viewership numbers online through platforms such as Twitch.tv and YouTube are seeing exponential growth as eSports matures. The core demographic of these events is college-aged viewers, as the competitive scene brings in an additional deep layer of immersion to one’s favorite games. Most people think of gamers on campus as socially awkward students locked away in their rooms, only coming out of hiding when the Rendezvous lines are short so they can get some food. However, campus video game culture is undergoing a rapid social growth that parallels that of eSports. Competitive nature is being embraced on campus, bringing the gamers out of hiding as they practice together. This year, UCLA has seen the inception of multiple new and popular clubs directly related to eSports. Clubs for three of the aforementioned games – DoTA, Counter Strike and Hearthstone – were founded this year as clubs on campus. In addition, new to this year is the popular AUGment club, which aims to unite gamers across multiple games and bring everyone together to make new friends. These clubs also organize viewing parties for the largest international eSports events, such as the League of Legends World Championship, and promote competitive growth. With the advent of these new clubs, UCLA has seen a renaissance in competitive play in 2015. UCLA is one of only five campuses out of more than 400 competing in the Collegiate StarLeague, the governing body of college eSports, that is fielding a Division I team in every game. The CSL is akin to the NCAA where, as the NCAA oversees basketball and football, the CSL oversees League of Legends and Counter-Strike. As a direct result of these new on-campus organizations allowing gamers to connect and enjoy their shared interests together, UCLA is quickly rising in the ranks to challenge established eSports powerhouses such as UC Berkeley, UC Irvine, University of British Columbia and Georgia Tech. There is a sense of competitive greatness on campus, one that is looking to be matched in the coming years by those Bruins doing battle on the virtual arena. Good news for the spectators: You do not need a Den Pass, or to even have pants on, to see these student-athletes compete, as their matches are streamed live online every week for hundreds of collegiate viewers. If you play any of the aforementioned games, go check out the respective teams; they’re always looking for new friends. Affirmative action remains one of the most contentious issues in higher education. In the 2000 Daily Bruin Registration Issue, Student Regent Justin Fong argued for the repeal of a pair of UC policies that banned affirmative action. 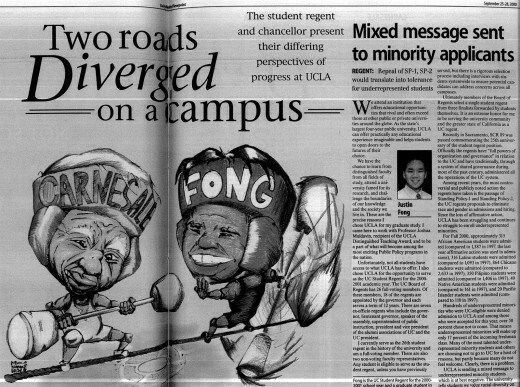 Then-UCLA Chancellor Albert Carnesale, whose column does not appear in this image, opposed affirmative action policies. Affirmative action on university campuses has been a hot-button social and political issue for decades, a slow-burning flame that occasionally explodes and has never truly flickered out. California has long been an epicenter of these incendiary discussions about a policy that divides casual observers and academics alike, between those who view it as conducive to racial justice and as a racial injustice. Despite the state’s supposedly liberal track record, voters in the state passed the first statewide ban on race and gender preferences for university admissions, public employment and contracting in 1996 by way of Proposition 209. In a month, the Supreme Court of the United States is slated to rehear the 2013 affirmative action case, Fisher v. University of Texas, that may culminate in the end to such policies nationwide. The University of California was one of a long list of parties that filed amicus briefs Monday in support of affirmative action, citing that the University and the state have suffered from a decline in diversity post-Proposition 209. For the 2000 Daily Bruin Registration Issue, UC Student Regent Justin Fong took aim at a similar policy widely considered to be a precursor to Proposition 209: Special Policies 1 and 2, which were passed by the UC Regents to ban the aforementioned considerations within the UC system. His column appeared alongside former UC Chancellor Albert Carnesale’s, which carefully avoided any topic of racial or social justice by way of an abundance of empty platitudes. Both SP 1 and 2 and Proposition 209 were championed by Ward Connerly, a UC Regent from 1993 to 2005 best known for being a sworn archenemy of affirmative action. It was a strangely conservative time at the UC. Fong, then a first-year UCLA graduate student studying public policy, had his own dramatic run-ins with affirmative action – he was arrested in 1997 for attempting to storm the regents after they refused to reverse SP 1 and 2. The Daily Californian noted how this could thwart his appointment to the “coveted” position. Incredibly, the very regents that he rushed at in protest – which included Ward Connerly – selected him for the student regent position three years later. More incredible, perhaps, was what happened during Fong’s tenure as student regent. In May of 2001, the regents unanimously voted to rescind SP 1 and 2. University officials proclaimed the decision as a reaffirmation of the UC’s commitment of diversity. Still, realistically speaking, the damage had already been done and the rescission largely symbolic, since Proposition 209 superseded UC policy anyway. I suspect Fong is as anxious as I am in awaiting the Supreme Court’s forthcoming decision on affirmative action at universities nationwide. Unfortunately, storming the Court, whose activities are largely closed to the public, is not as straightforward nor productive an affair. Editor’s note: This is the first in a weekly series about the rise, decline and future of Westwood Village, a historic Los Angeles business district located near some of the wealthiest areas of the city: Bel Air, Brentwood and Beverly Hills. City editor Roberto Luna Jr. looks into the reasons for Westwood’s oft-discussed decline and what, if anything, could be done to change things. Whenever I walk down Westwood Boulevard underneath the broken clock tower past the Janss Investment Company building, I think about what I missed. In its glory days, Westwood Village had crowded sidewalks, a vibrant nightlife and more than 20 movie screens. For a UCLA student, a Westwood resident or the casual visitor, this place had it all. This was how Edwin and Harold Janss, the original developers of Westwood, envisioned Westwood Village when they premiered it in 1929. After luring the University of California Board of Regents to move its second campus here, they wanted to create a business district that would not only serve the new UCLA community, but also the residents they were bringing into the surrounding areas. The Janss brothers brought a mix of businesses to the Village, which thrived until the late 1980s, according to the Los Angeles Times, to accommodate both students and residents. For that reason, they brought in chain stores as well as mom-and-pop shops. Among those stores were Bullock’s, Ralphs, Oakley’s Barber Shop and many more. More notable were the Fox and Bruin theaters, which together became a hotspot for movie premieres. The large crowds they drew not only showed the theaters’ popularity, but also how people were willing to come to Westwood Village. That cannot be said today. Westwood Village’s age shows in the dust that has gathered on its vacant store fronts, its lack of entertainment spots and occasional passersby, most of which are all but forced to dine or shop in the Village because of their status as students or employees and have no where else to go. Students, the Village’s primary customers, find themselves venturing into Westwood because they need to, not because they want to. They have Target or Ralphs for groceries and supplies, but they will often ask themselves where else in Los Angeles they will go for the day. In a city that has the Grove and a bustling Hollywood district, the Village needs to stand out if it wants to thrive. The rest of Los Angeles being Westwood’s biggest competitor forces any revitalization efforts to be noteworthy, something that doesn’t seem to get done too often. Luckily, several businesses’ expansion to Westwood means there are signs of life left. From Urban Outfitter’s daring expansion last year to Francesca’s and Paper Source’s arrival this fall, stores appear willing to venture in Westwood again. That and projects such as Gayley and Lindbrook and Plaza La Reina shows that development in Westwood is on the rise. 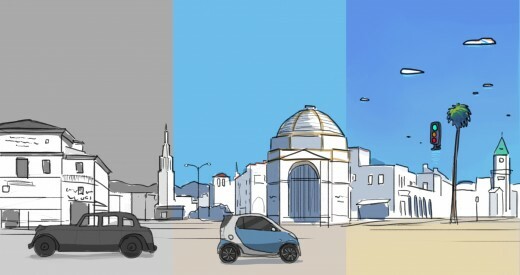 Westwood Village needs to be revitalized to fit the needs and wants of UCLA students and to give a unique experience for the casual shopper. But above all, given its historic significance in Los Angeles culture, it deserves to thrive. If we take a close look at past models, it can help invent a new formula to solve the problem. We will never see the Westwood of the past again. But that may be a good thing. The changing market and people’s interests requires any business district, not just Westwood, to adapt. 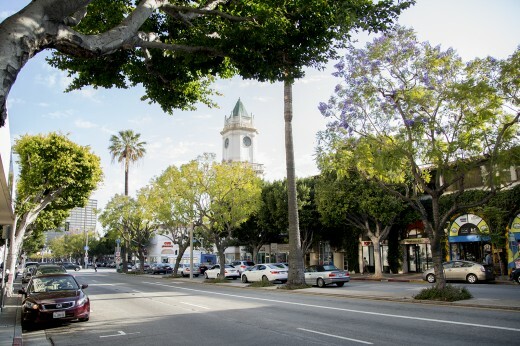 Development will not revive Westwood Village unless there is a central vision. This should be left at the hands of the business improvement district and landlords in charge of signing leases and residents themselves. However, too much of an involvement in development by residents can stunt growth. After endlessly waxing nostalgic about Westwood Village, I have thoughts about all that’s to come.